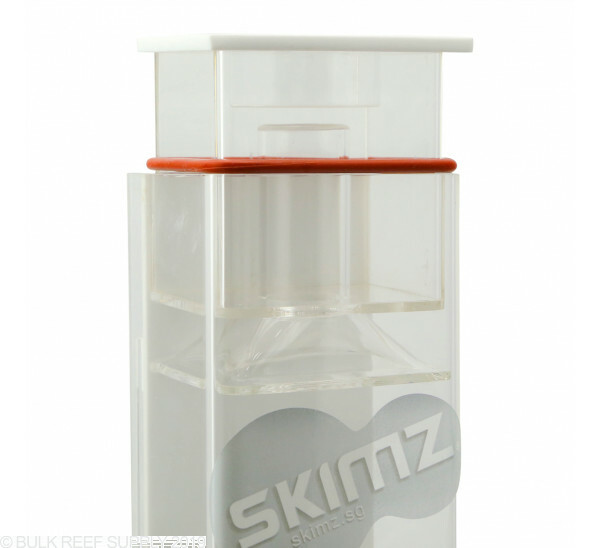 The Skimz Monster SH1 offers a compact skimmer designed to fit in nano and compact tanks. 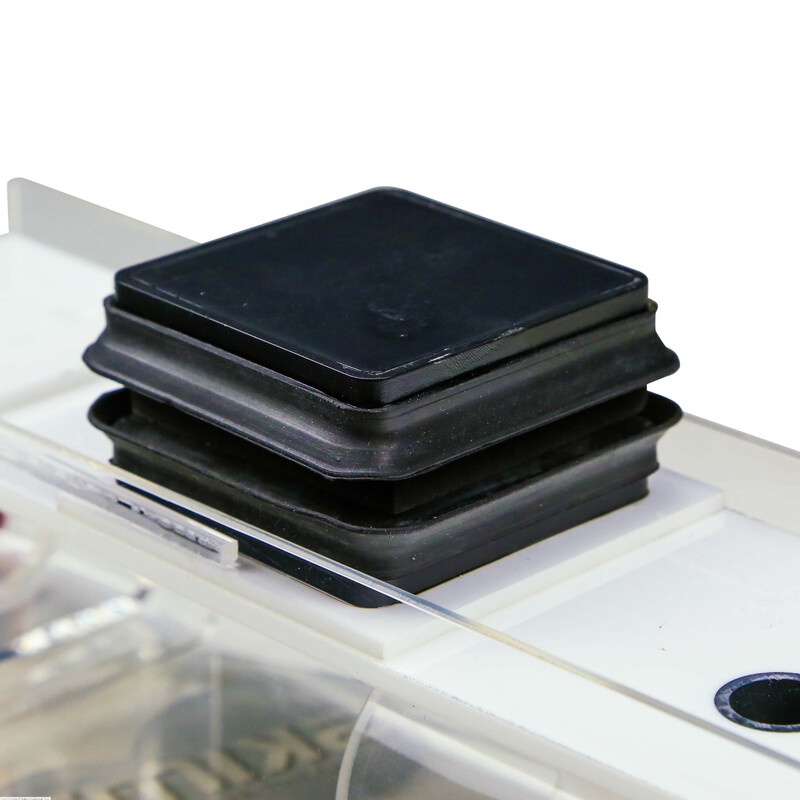 The included magnetic mounts offer easy placement of the skimmer in your tank or sump. 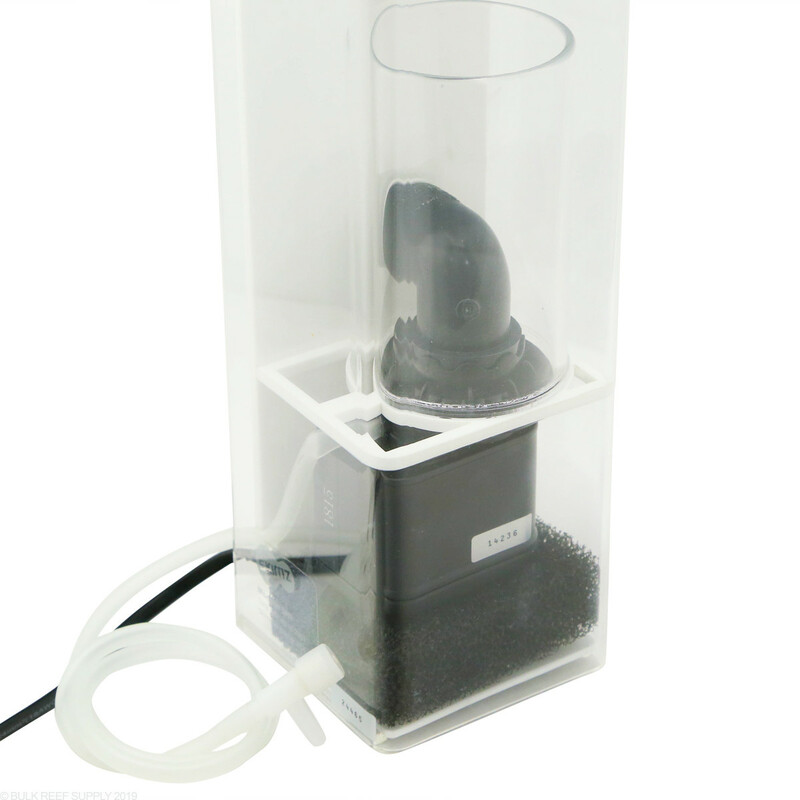 As soon as I received the product, I rinsed it out, set it in my aquarium, and plugged it in. I noticed the machine was not producing any bubbles/skimming. Upon looking at the airline tubing and where it was next to the motor, I noticed it was squished and hence incapable of drawing in air. To fix it, I threaded the tubing out through the top of the skimmer. 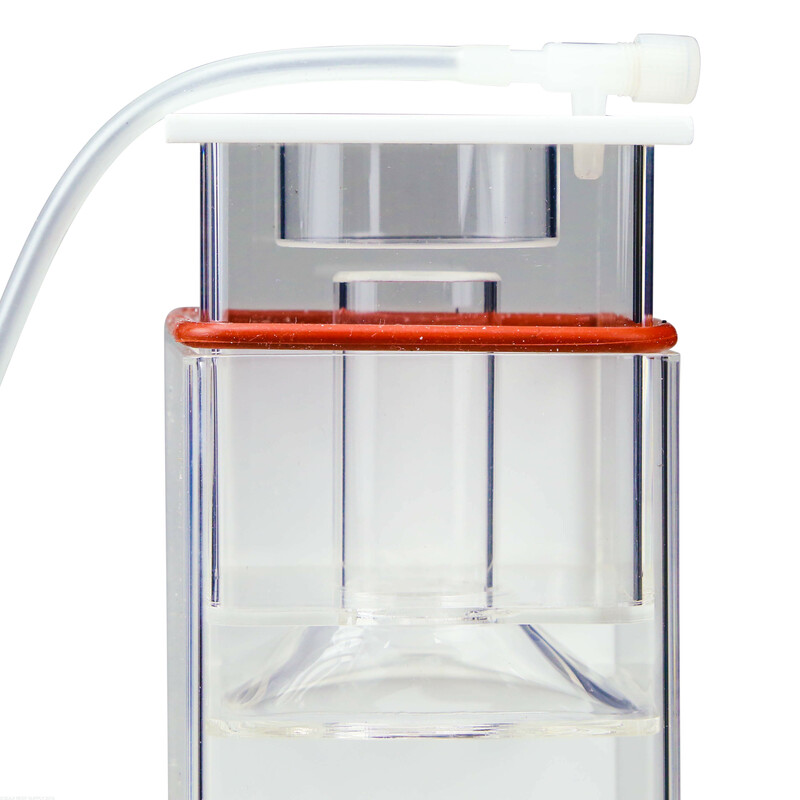 From there, the tube was held in place and able to draw air. The impeller blades are highly fragile, so much so in fact that some pieces had broken off in shipping, however, this was not the biggest deal considering it still works. The motor is not the quietest, coming in at 67 dB-A right above the skimmer, and 60 dB-A ten feet away. Overall, a great skimmer for the $60 I paid with it on clearance, however, this product is definitively not worth the $120 MSRP. 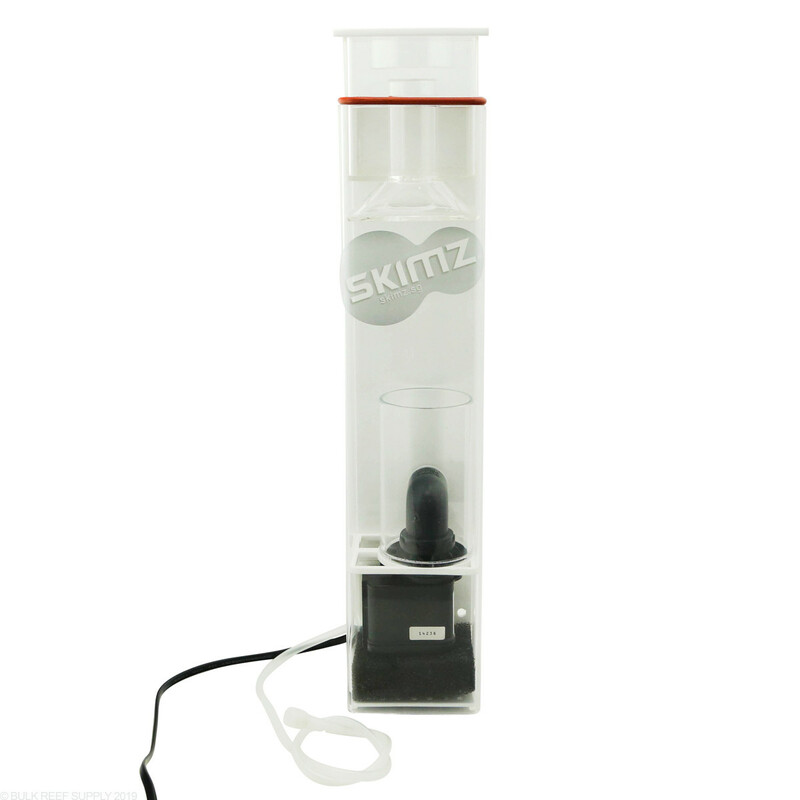 My experience with this skimmer has lasted two weeks and I'm done with it. I so loud when it's running correctly and even louder when it decides to get an air pocket trapped with the motor is. No mater what I do this always happens. And what did the whole thing in was when I took the bottom off to take the motor out. There are very sharp acrylic pieces that make a grove where the bottom slides in that caught my thumb sliced it open. Nice and safe. 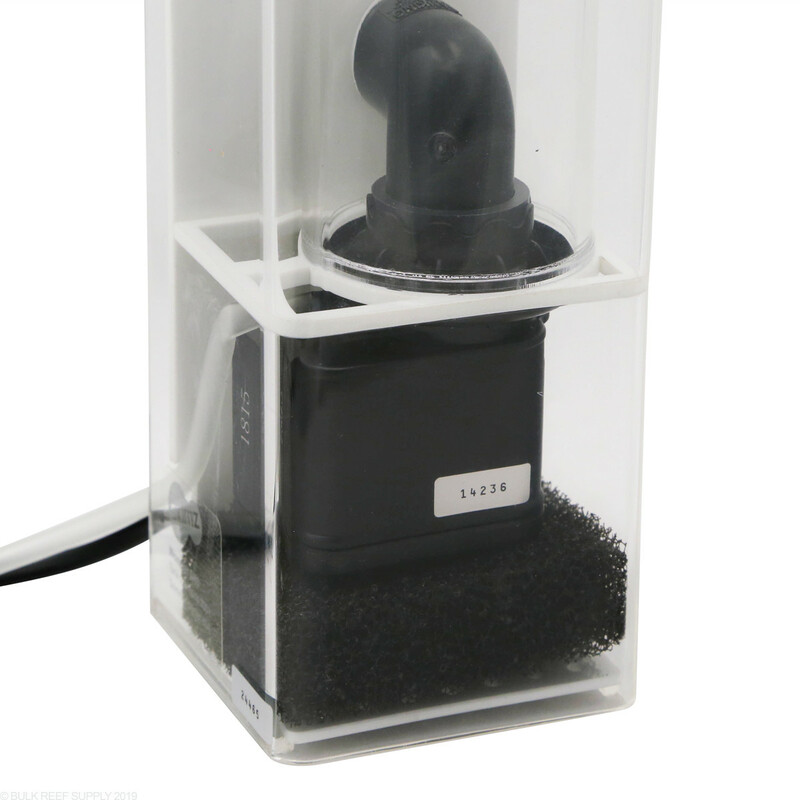 The magnet design is terrible, the air intake tube can get pinched easily and make it useles, and nice sharp acrylic pieces where you put your hands to take it apart. Awesome design, freakin amazing. I'm sending it back tomorrow. 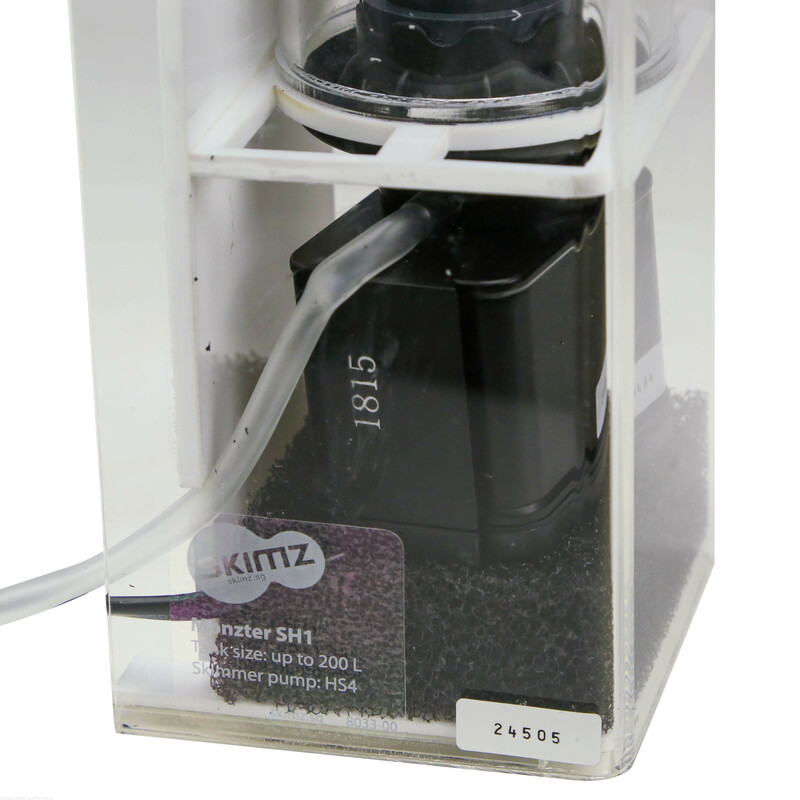 I bought this skimmer because it was on sale and looked like it could out perform my skimmer. 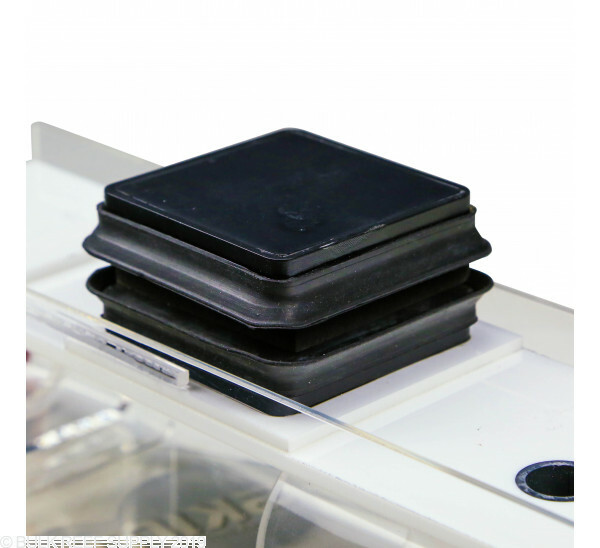 It did not perform well because of a major design flaw. the way that the air intake is designed, it will get kinked in most every configuration. When it's kinked it doesn't allow for enough air to be pulled. 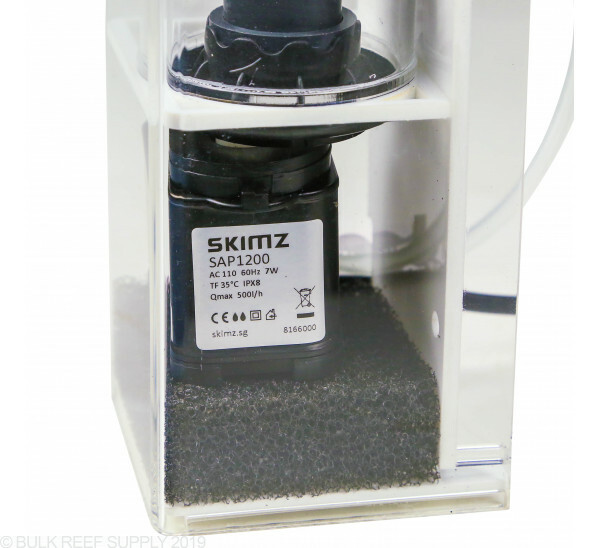 if they drilled one hole in the skimmer body this problem could be alleviated, but they didn't. 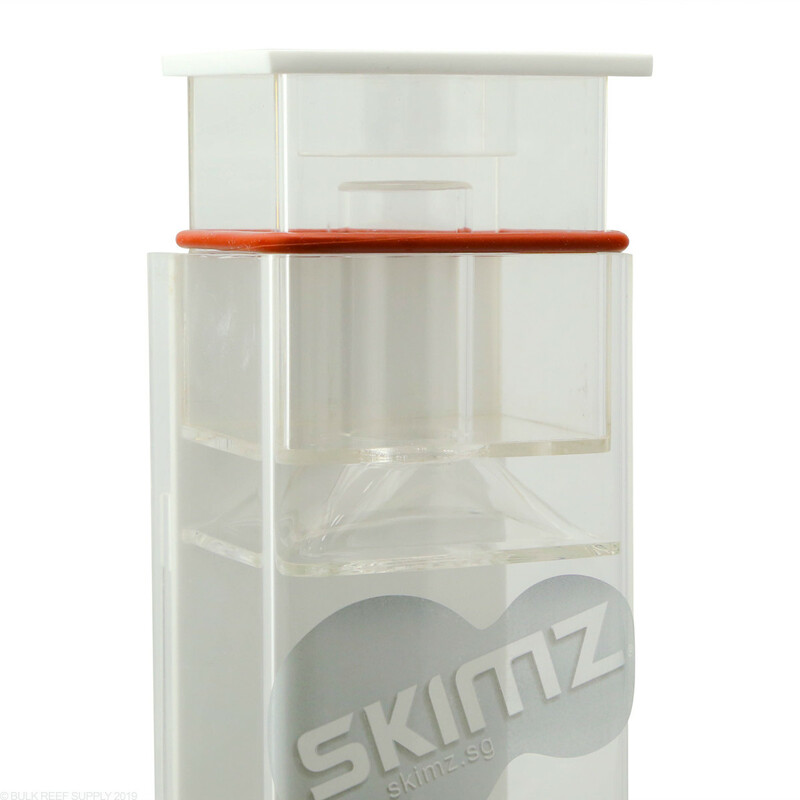 Skimz is not a premium brand. This is not a premium skimmer by any means either. I am using this on a Oceanic Biocube Hqi 29. It will not fit if you have the standard MH pendant. I am running a Kessil A360w led with goose neck mount allowing me to place it in the middle chamber. 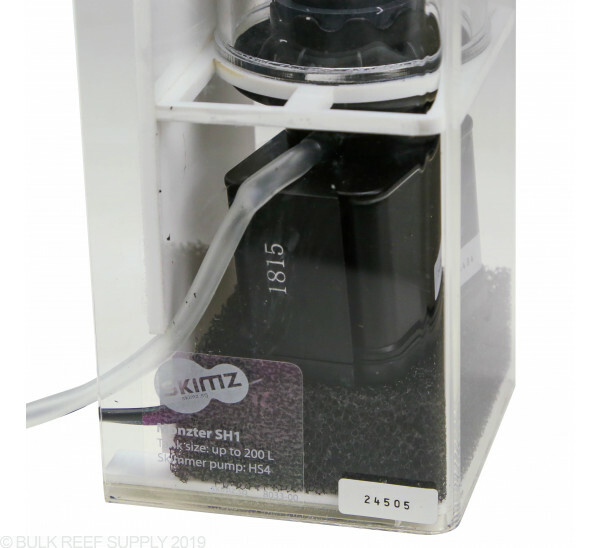 This skimmer needs a constant water level to run at 100% efficiency which you will not have with a stock cube. An ATO will address this, or adding top off often to compensate. It took a good 2 to 3 weeks to break in, but I did not clean it of residual oils. In my application I found it necessary to remove the foam pad that sits between the bottom of the unit and pump. 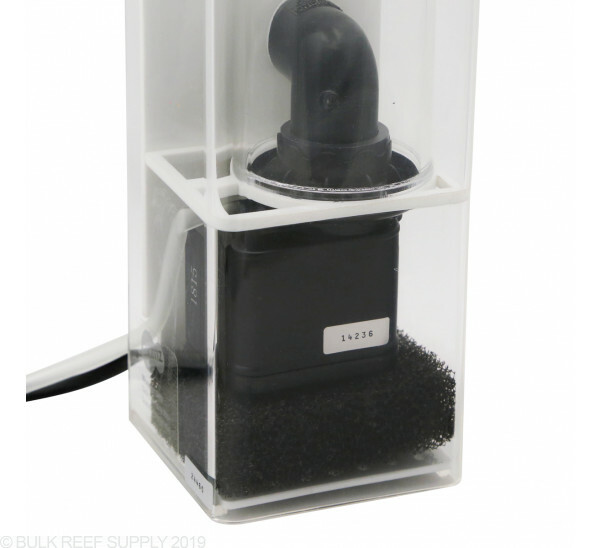 As it clogs with the junk that all foam pads gather in a reef tank, the skimmer needed adjustment often. 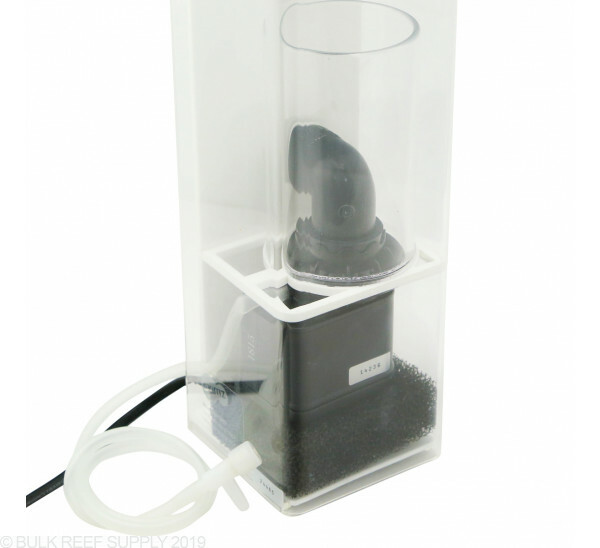 Since this is an '' in tank'' skimmer I suppose the foam is to keep critters out. To run it with the goose neck you have to slide the light mount all the way to the right... and it fits perfectly. I also run an In tank brand media basket in the second chamber. Will this fit in the Innovate Marine 40 gallon? This will fit just fine in the Nuvo 40. Feel free to let us know if you have any further questions! 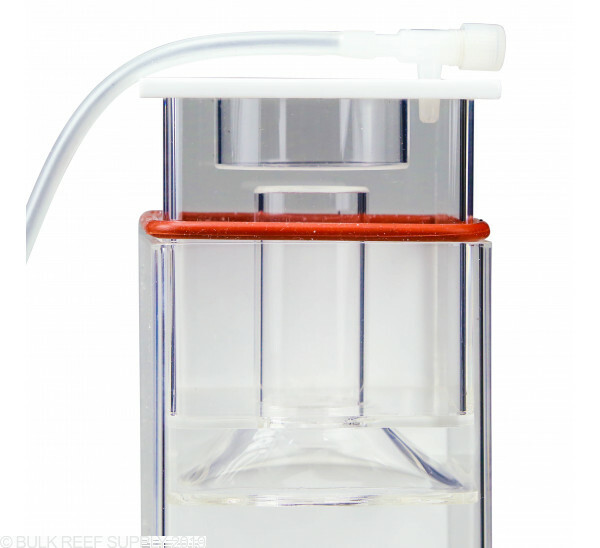 Will this skimmer fit the nuvo 16? It would not fit in the Nuvo 16 as that doesn't have a large enough chamber. 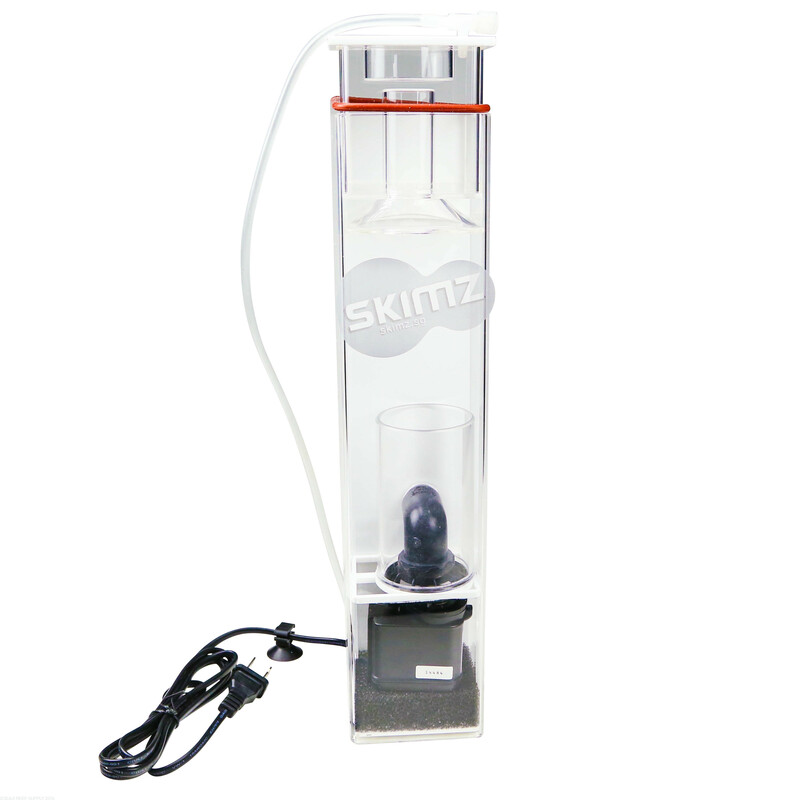 That said though, with such a small tank I would usually skip the skimmer. A 5g water change is a 30% water change on a tank that small so regular water changes are pretty easy to do and will suffice.